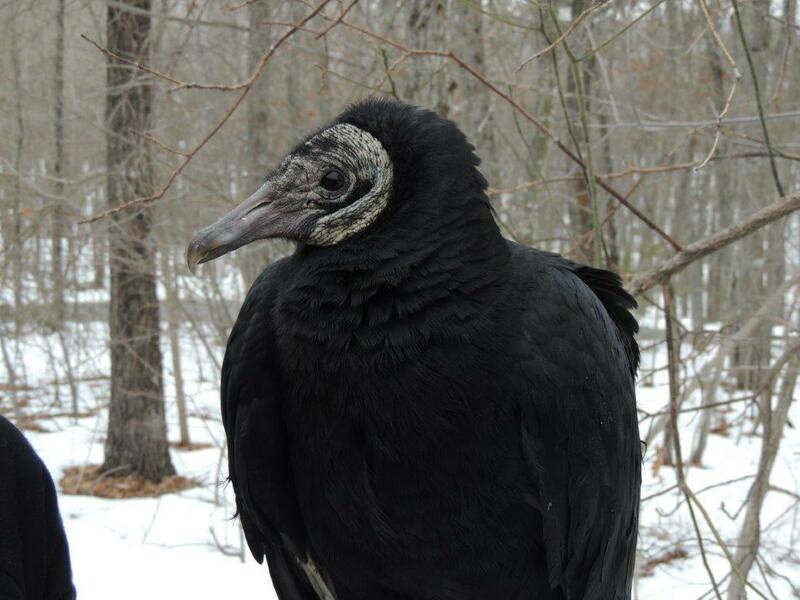 Happy hatch-day to Buttercup – the Wildlife Center’s resident Black Vulture ambassador! On May 24, 2004, Buttercup hatched in captivity, but was rejected by his parents. Buttercup was then cared for by a permitted wildlife rehabilitator and unfortunately imprinted on humans. After living at Maymont Park in Richmond, VA, Buttercup moved to the Wildlife Center in September 2011. Everyone immediately fell in love with his charismatic personality and Buttercup effortlessly secured a role as one of the most well-loved education animals. This year, Buttercup is turning eleven years old. In honor of his eleventh year, we’ve compiled a list of eleven things we love about Buttercup. 1. He takes such great care of his shiny black feathers. 2. He proves that bald really is beautiful. 3. He has some serious “dancing” chops. 4. He knows that every holiday celebration should involve food. 5. He’s a total geek. 7. He inspired his own fashion line of carrion-themed apparel. 8. Buttercup is great at making friends. 9. And especially loves meeting kids. 10. He graciously accepts his time in the spotlight. 11. And reminds us to spread our wings and soak up the sun! We wish Buttercup a Happy Hatch-day and hope he has many more years with us at the Center!